Democratic U.S. Senate candidate Beto O'Rourke is accepting a proposal by GOP incumbent Ted Cruz to debate five times over the next three months, though O'Rourke would like to add a sixth debate in El Paso. Beto O'Rourke, the Democratic nominee in Texas' U.S. Senate race, is accepting Republican incumbent Ted Cruz's proposal to debate five times over the next three months, though O'Rourke also is suggesting a few changes to the plan — including having a sixth debate in his hometown of El Paso. "I look forward to debating Senator Cruz and am grateful for the schedule you have proposed," O'Rourke wrote in a letter Friday to Cruz strategist Jeff Roe. "I would suggest only a few small changes." Roe quickly responded to O'Rourke, writing in a letter that the plan "isn't an open negotiation" and largely not entertaining any of O'Rourke's suggested changes. Roe, however, did express openness to having a debate in El Paso — not as a sixth meeting, but as a replacement for one of the five previously named cities. 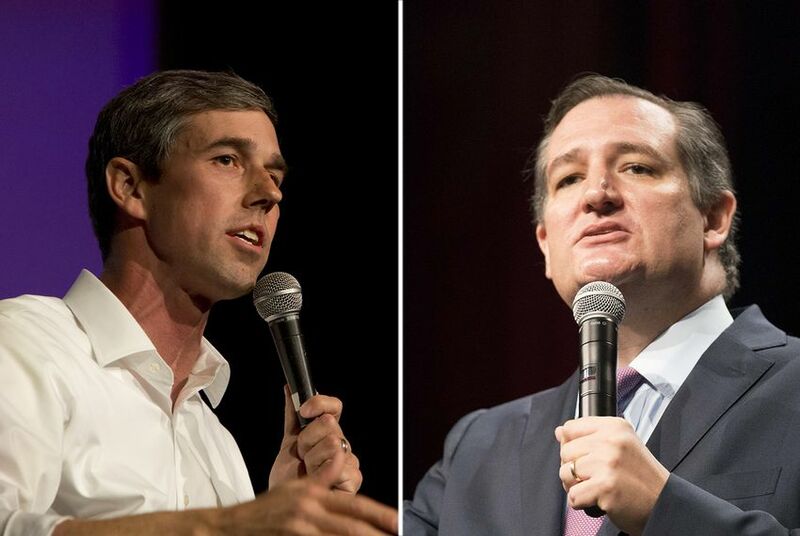 The swapping of letters Friday was the latest in a back and forth over debates that began in April, when O'Rourke challenged Cruz to six debates, including two in Spanish. Cruz had long expressed openness to debating O'Rourke, but it was not until Wednesday that his campaign began discussing a specific schedule. Cruz had proposed holding the debates on Friday evenings, citing the Senate schedule, but O'Rourke suggested having at least three on other weeknights or a Sunday evening. O'Rourke also asked Roe if they could move the Aug. 31 debate in Dallas that Cruz offered to October so "we are likely to reach more Texans closer to when they make their decision at the polls." In addition, O'Rourke suggested broadening the format of the five debates Cruz proposed, each of which the senator's campaign said would be about a different policy area. "At each debate, our fellow Texans should be able to raise any issue and do so in an unscripted town hall format," O'Rourke wrote. "Those issues should include ones you have already proposed and those you did not, including, but not limited to: serving our veterans, public education, money in politics, farming and ranching, the environment, civil rights and social security." In his response, Roe did not directly address O'Rourke's ask for the town-hall format but said "most of the topics you suggested will already be included in the broad topics" the Cruz campaign initially outlined. And while Roe did not explicitly comment on O'Rourke's suggestion to hold the Dallas debate to October, the strategist's last sentence left little doubt about whether he was open to it. "Thank you again," Roe wrote, "and I too look forward to seeing you on August 31 in Dallas."